The Tulsa World ran the letter to the editor in Sunday’s paper. They took Patton’s name out of the letter. Right after the First we will be doing a Call to Action with our Nation Inside website. Enjoy Christmas and then get ready to get busy. This is a time for change and get all the families and friends involved. The Oklahoma Watch report on all the prisoner releases without any supervision to those who can’t follow rules makes everyone question the reasoning behind it. Some think it’s just a scare tactic being used to get the legislators to fund more private prison beds. For some reason, Gov. Mary Fallin believes it’s better to release those who can’t follow the rules instead of those who have been following the rules. The governor signed only 21 paroles from August 2013 to August 2014. Why hasn’t she signed paroles for some of those lifers who haven’t had a write-up for 15 to 20 years or to those who the parole board and its investigators have said "yes" to? The Sentencing Projects has said the recidivism rate for this group is only about 1 percent. Only the governor is saying "no. We have tried to get support for a bill that would allow the use of GPS for the lifers. It works in other states, and it would save money on bed space and medical bills for the aging prisoners. 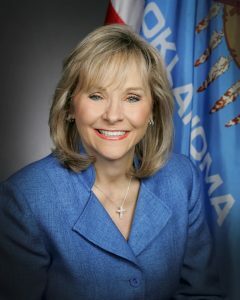 Editor's note: Powell is state director of OK-CURE (Citizens United for the Rehabilitation of Errants).